JULIE GABEL: Co-Founder, Co-Producer and Co-Artistic Director of Ceramic Cow Productions. Theatre: Newby Theatre, Second Stage Theatre, En Scene Theatre, Dynarski Theatre (all of Los Angeles), and the Gaslamp Quarter Theatre (San Diego). ALWAYS...PATSY CLINE (National Tour). 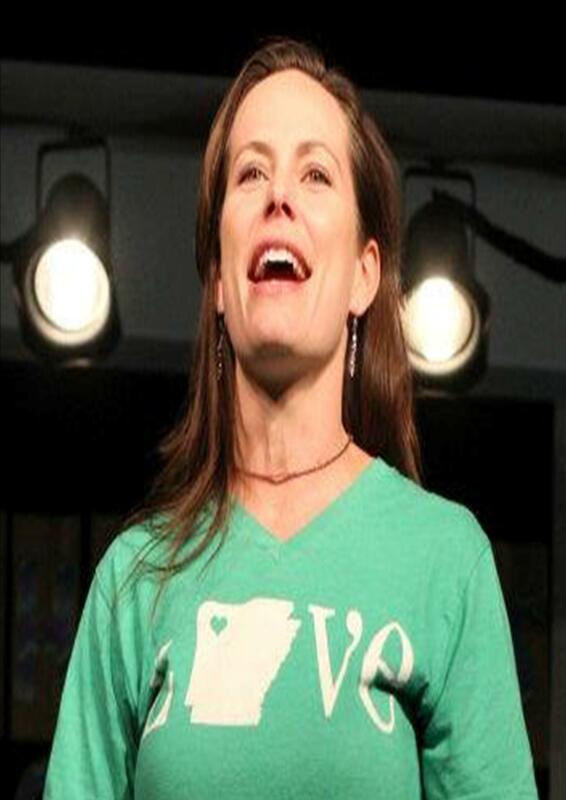 Former board member Ozarks StageWorks, served on Fayetteville Arts Council, Co-Founder of Ceramic Cow Productions. Directing: RADIO DAZED, I'M DREAMING OF A DUPONT CHRISTMAS, DUPONT MISSISSIPPI, A DUPONT CHRISTMAS, A DUPONT CHRISTMAS...AGAIN, PEARL'S SIXTH WHITE TRASH WEDDING, A DUPONT CHRISTMAS CAROL, LAUNDRY AND BOURBON, THE TITANIC TRIALS, SANTLALAND DIARIES, PEARL'S OF WISDOM-LIVE!, PEARL'S OF WISDOM CABARET, THE HARRY AND SAM MONOLOGUES, CURTAINS, HAIKU, BIGFOOT LOVE, CAT ON A HOT TIN ROOF, STEEL MAGNOLIAS, FIRST BAPTIST OF IVY GAP. BILLIE JEAN IS NOT MY LOVER and ASSISTANCE NEEDED (24 Hour Play Festival Winners 2004 & 2007). Film: "Dupont, Mississippi" F5." Television: "Pearl of Wisdom". Co-Producer of the 2008 Arts Festival Performing Arts Weekend. Training: MA Drama; BSE Education, Frank Doubleday. MIKE THOMAS created the role of Cletus in the premiere production of Dupont, Mississippi and appeared in A Dupont Christmas, A Dupont Christmas Again, A Dupont Christmas Carol, Pearl's Sixth White Trash Wedding, I'm Dreaming of a Dupont Christmas and in the film "Dupont, Mississippi: F5." He also co-wrote and starred in the Ceramic Cow Production of Bigfoot Love. 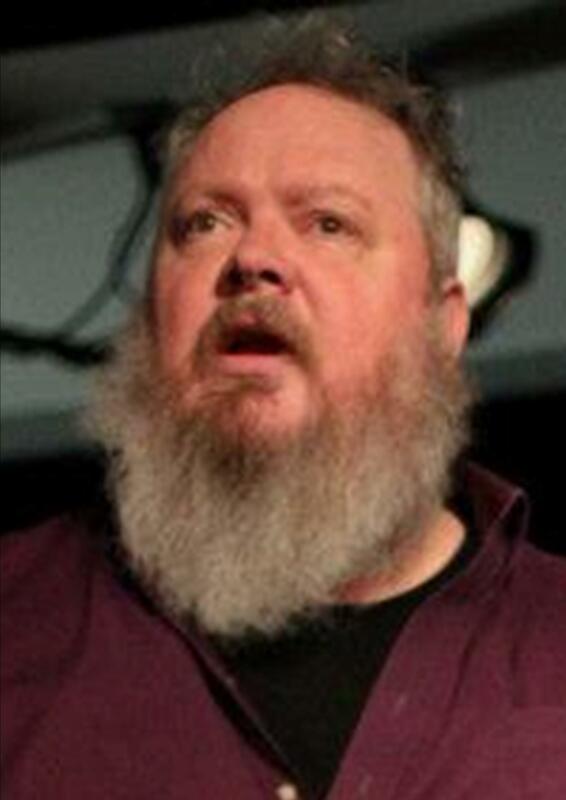 A popular actor throughout Northwest Arkansas, Mike starred in the feature film "Arcane" and has appeared with TheatreSquared in Li'ly's Purple Plastic Purse, Sundown Town and Drawer Boy. He also wrote the script for Diggin' Up Arkansas and is involved with the National Writer's Project. JASON SUEL is originally from Southern Arkansas, but has recently moved to the area after spending 4 years teaching and acting overseas in the UK. He has an MA in Theatre from Bowling Green State University in Ohio. 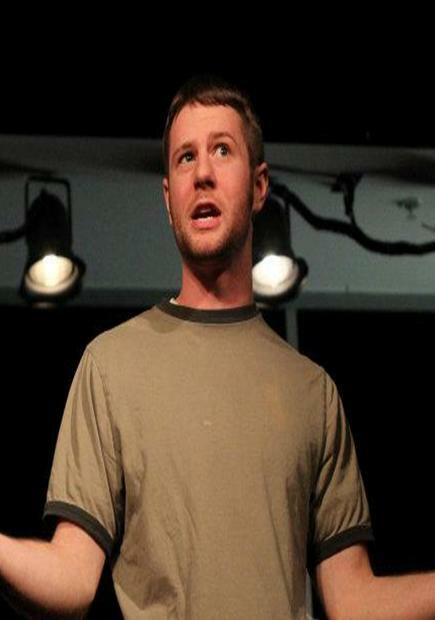 He is currently working as a Teaching Artist and Professional Actor in Northwest Arkansas. Jason has enjoyed such roles as Dromio is The Comedy of Errors, Sam in Personals, Edward Lyons in Blood Brothers, Hysterium in A Funny Thing Happened on the Way to the Forum, and Jediadah Schultz/Ensemble in The Laramie Project, and created the role of Jimmy in the Ceramic Cow production of Radio Dazed: Dracula vs. Old Man Winter and the role of J.D. in I'm Dreaming of a Dupont Christmas. Jason is also a cast member of Diggin' Up Arkansas which conitnues to tour, and a Teaching Artist and Director with Arts Live Theatre where he has directed productions of The Neverending Story, Charlotte's Web, Anne of Green Gables, Anne Frank and Me, Fiddler on the Roof and The Outsiders. He is also the star of the regional talk/variety show 'Later With Jason Suel', and may be seen in the feature films "Parker's Anchor", "Gordon Family Tree" and others. JULES TAYLOR is happy to be here. In the olden days (the ‘90s) Jules was a team member of Comedy Sportz in Dallas. Now she’s a company member of Ceramic Cow Productions in Fayetteville, and part of the wacky cast of the Dupont series, including Pearl's Sixth White Trash Wedding and I'm Dreaming of a Dupont Christmas. She has also appeared in the award-winning Ceramic Cow production Billie Jean Is Not My Lover and participated in Splash Theatre. She has an MA from Texas A&M University and a BFA from The College of Santa Fe, NM, and has been on faculty with Arts Live Theatre since 2004, teaching acting and musical theatre and directing big, big shows including Night of the Living Dead, The Secret Garden, The Wizard of Oz andAlice In Wonderland. She also teaches with NcK Talent. Jules is the creator of the popular Shaky Bugs program: A high energy song-and-dance-along for the under 6 crowd, making music with NWA families for over 5 years. She is also a member of the cast of Diggin' Up Arkansas, appeared in the films "Valley Inn","Gordon Family Tree", "Southern Pride" and others. MARK LANDON SMITH...does anyone remember the children's eduational television series "Romper Room?" Well, hold on to your hats because Mark's mother was Miss Sharon. No joke. Mark has worked in theatre, film and television and starred on the short-lived and really, really B-A-D television series, "Simple Pleasures". He also write plays for a living having had fifteen published thus far, and include three foriegn translations and an Off-Broadway production, the 2009 Fringe Festival in Ediburgh, Scotland, the Shakespeare Festival of Greece and by the Europe Entertainment Group for the troops. His scripts ASSISTANCE NEEDED and BILLIE JEAN IS NOT MY LOVER won the 2006 and 2008 24 Hour Play Festival. He was featured in the films "Parker's Anchor", "Gordon Family Tree", "Southern Pride", "Crossfire", "Valley Inn", "Jan & Jann", "Frog Hair" and was devoured by a zombie in "Experiment 519". He, along witih Julie Gabel, is the co-founder of Ceramic Cow Productions. 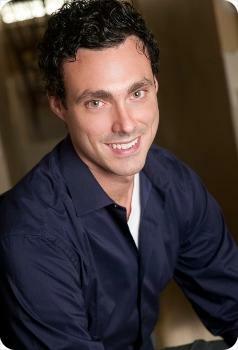 He is also the Executive Director of Arts Live Theatre and director of TheatreSquared's Arkansas Playwright's Workshop. As actor he has appeared with Gaslight Dinner Theatre, McCoy Repertory, The Forum, The Playroom, Circuit Playhouse, Kernoodle Theatre, Boar's Head Players, Studio 404, Peacock Productions, TheatreSquared, and has directed productions of INTO THE WOODS, GUYS AND DOLLS, WONDERFUL TOWN, LES MISERABLES, THE MUSIC MAN, THE SECRET GARDEN, FRANKENSTEIN, THE HOBBIT, THE LION, THE WITCH AND THE WARDROBE, ALL MY SONS, CRIMES OF THE HEART, FAITH COUNTY, FAITH COUNTY 2: AN EVENING OF CULTURE, RADIO TBS, WE LOVE PATSY CLINE, LITTLE SHOP OF HORRORS, EULOGY, VOICES FROM THE HIGH SCHOOL, TITANIC, THE REALLY HIP ADVENTURES OF GO-GO GIRL and others. Mark also produced the original "Faith County" radio sit-com which ran for 18 months. He also has a upcoming book, "Mister Fancy Pants" coming out soon and may be seen in the Funnyordie.com Sketchy Comedy Series. PATRICK KUNNECKE Theatre: Sight Unseen, Communicating Doors, I'll Get My Man, Charlie's Aunt, Cinderella, Babequeing Hamlet, They're Playing Our Song, 1940's Radio Hour, Masks and Underworld. CASSIE SELF starred in the film "Resurrection County"...and other stuff. More information to come! 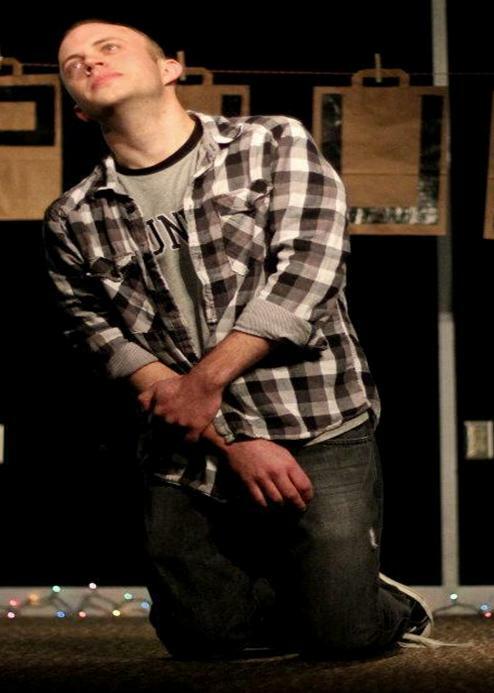 KEVIN KINDER is a journalist by day and an improv comic by night! Kevin writes about music and arts and stuff for the Northwest Arkansas Newspapers. He knows a lot about music. He's met Tiffany. And Miley Cyrus. And The Jones Brothers...(none of this is true - well he IS a journalist and DOES write about music and arts and stuff and DOES know a great deal about music, but he doesn't know Tif, Mil, and TJB. ALTHOUGH he DID interview Mel Brooks by phone for an article about YOUNG FRANKENSTEIN Kevin has appeared onstage in THE ODD COUPLE (ACO) and as a writer and actor with the annual Gridiron Show.